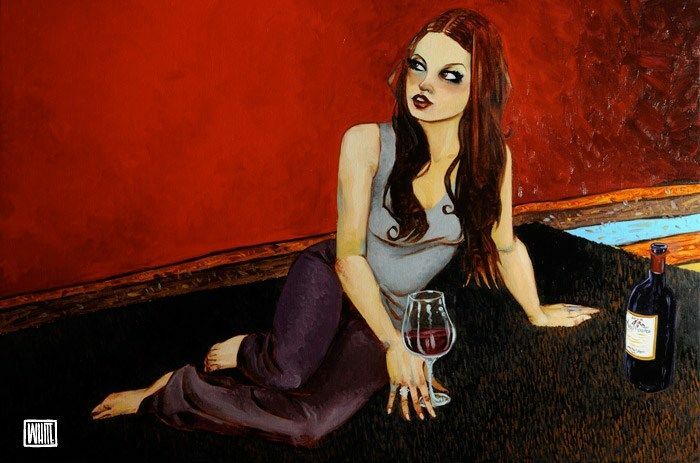 Her Satisfied Place - board only by Todd White // £954.00. Why is she satisfied? possibly because there is wine involved and a good vintage at that! In this classic Todd White image this women lazily lies down and appears to be looking out for someone? The hand embellishments really accentuate the piece and do give the artwork that extra spark. I love the cartoon characterisation of this women in the painting & yet she has a very humanly expressive face. Todd White's artistic brilliance is in full force once again.